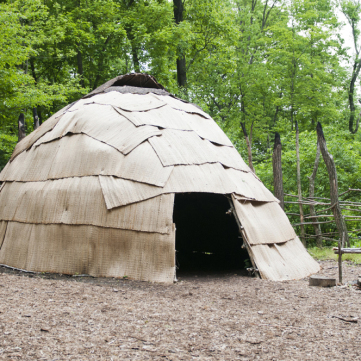 Meadowcroft’s recreated Monongahela Indian Village gives visitors a close look at the everyday lives of 16th century American Indians. 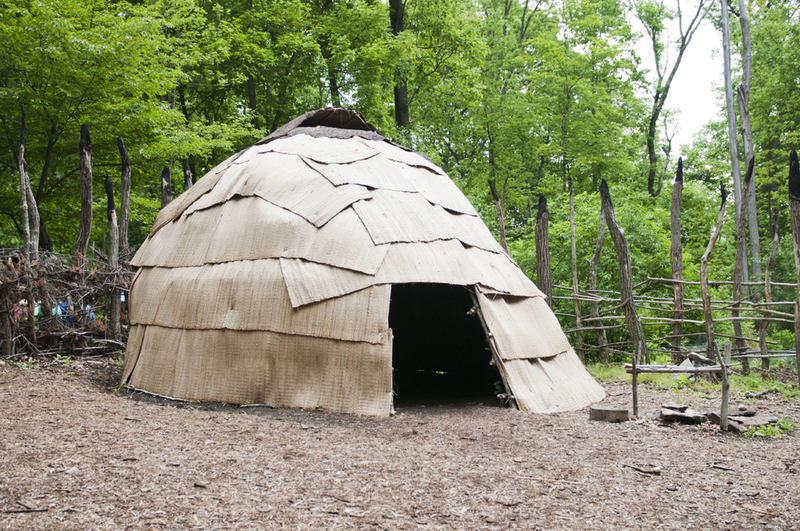 Explore the interior of a wigwam, inspect carefully recreated prehistoric artifacts, and learn about American Indian agriculture. 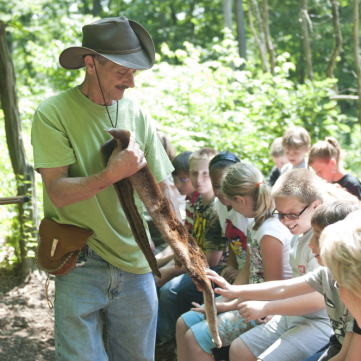 Enjoy the traditional Three Sisters Garden and a hunting camp filled with furs, hunting tools, and fishing equipment. 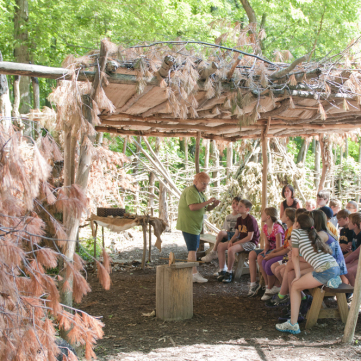 One of the most popular activities at Meadowcroft’s Indian Village, visitors can try their hand at using an atlatl, a prehistoric spear thrower used by American Indians for hunting fish, waterfowl, and mammals. 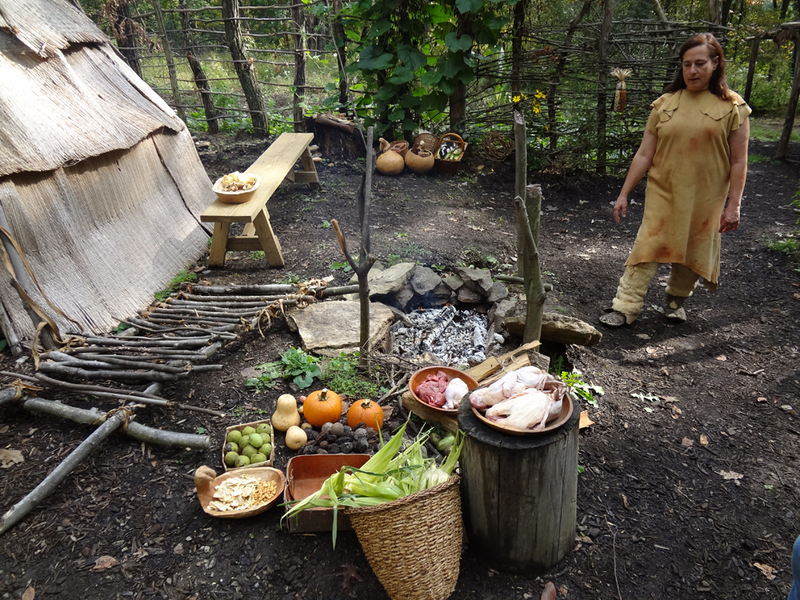 Prehistoric hunters used a spear-thrower called the atlatl, a precursor to the bow and arrow, to hunt for food. The atlatl would have been carved from wood, antler, or bone and used to increase a spear’s force and velocity during the hunt for deer, elk, and other large animals. Check out our atlatl video series to learn more about the atlatl, its uses, and to see it in action. 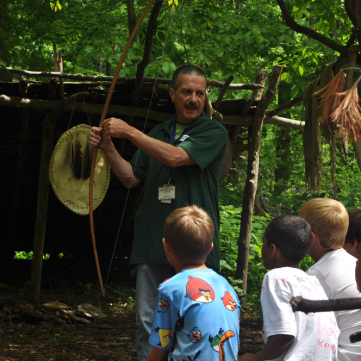 Transcript: What is an atlatl? 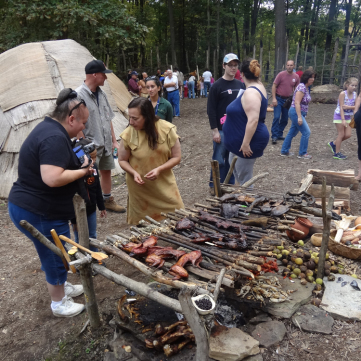 Transcript: How to use an atlatl? 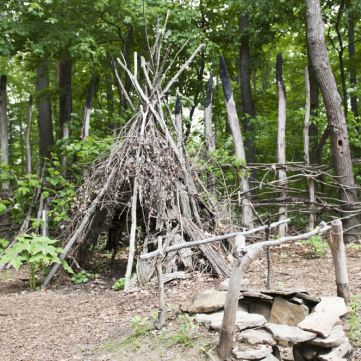 Visitors to Meadowcroft’s Indian Village can step inside a wigwam and see the materials 16th century Eastern Woodland Indians used for shelter. 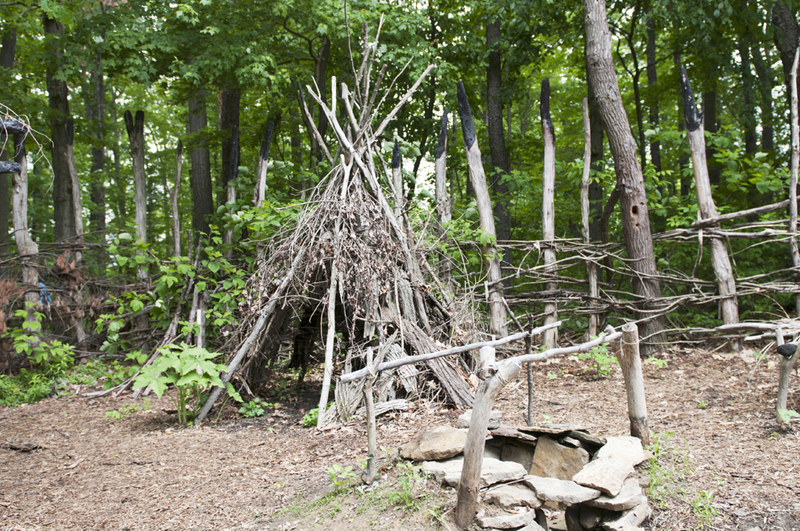 This shelter made of branches and sticks from nearby trees is an example of how Eastern Woodland Indians used their surroundings to create quick, temporary shelter when needed. 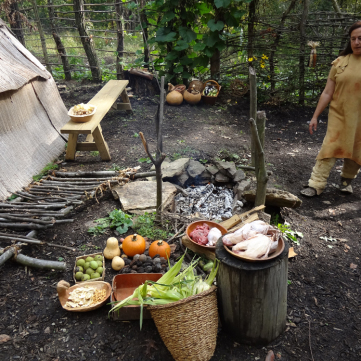 An American Indian re-enactor displays what types of food were consumed by 16th century natives in the Upper Ohio Valley. 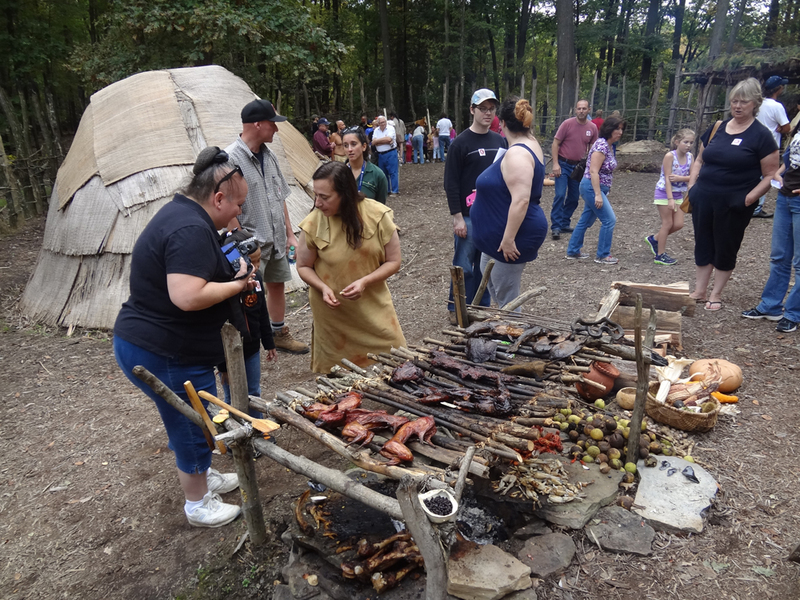 Visitors interact with American Indian re-enactors at Meadowcroft’s annual American Indian Heritage Weekend event. 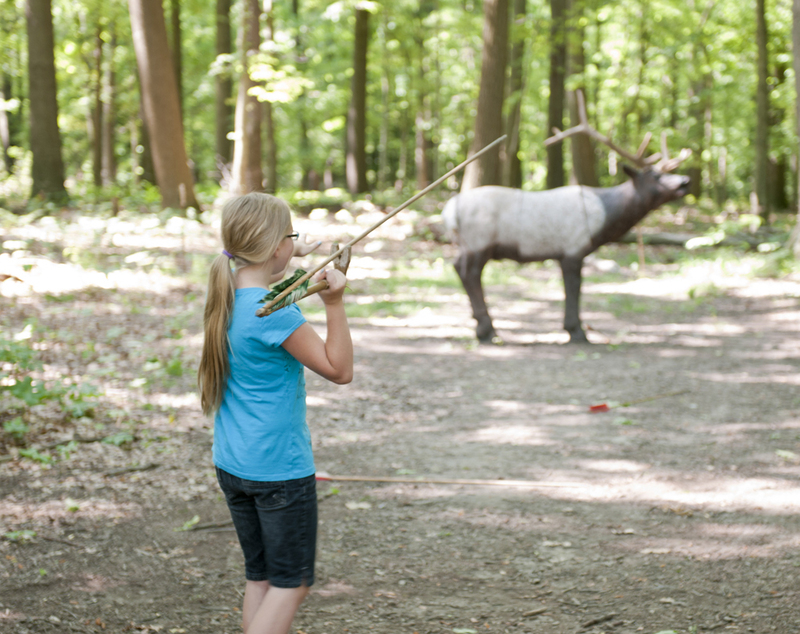 A young visitor tries her hand at using the atlatl. 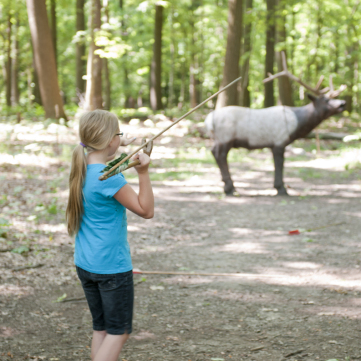 A young visitor tries her hand at using the atlatl, a prehistoric spear throwing device used by American Indians for hunting fish, waterfowl, and mammals. 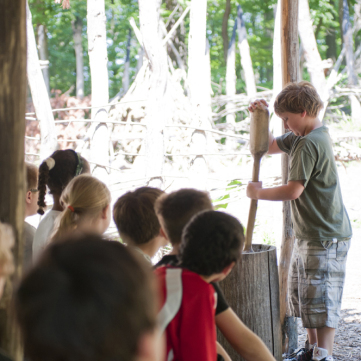 A student learns how to pound corn into cornmeal. 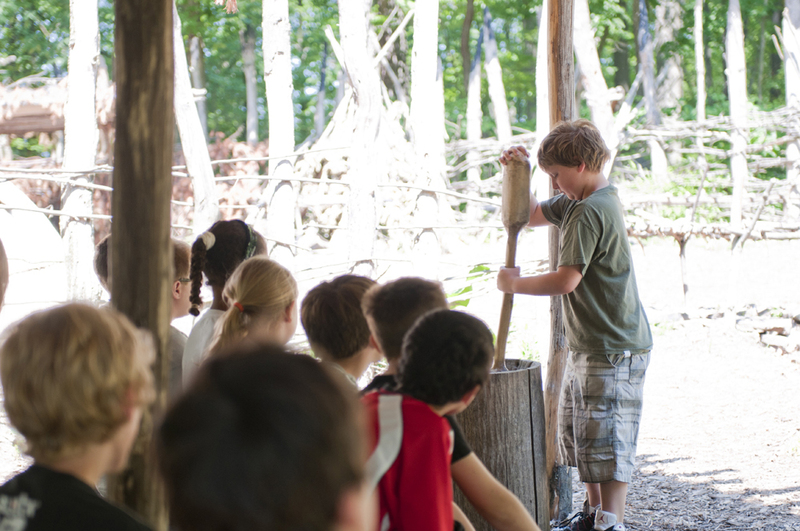 A student learns how to pound corn into cornmeal, as the Eastern Woodland Indians did while inhabiting the region more than 400 years ago. 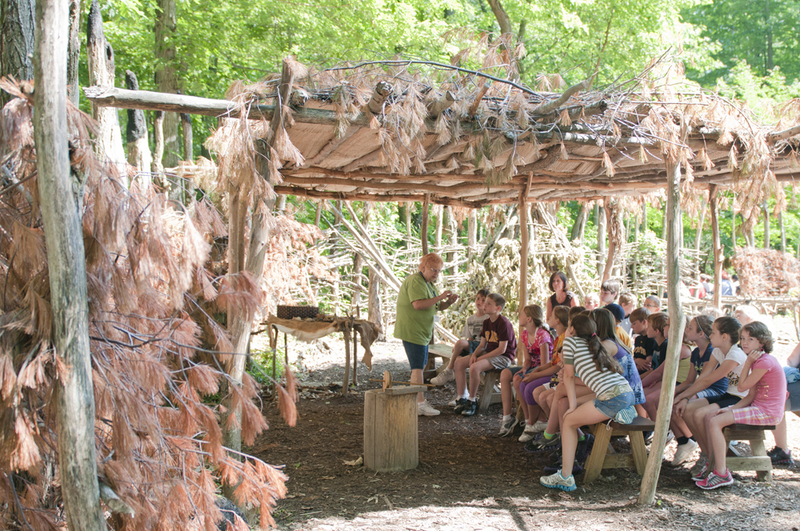 A Meadowcroft instructor discusses how American Indians lived during the 16th century at Meadowcroft’s Indian Village. 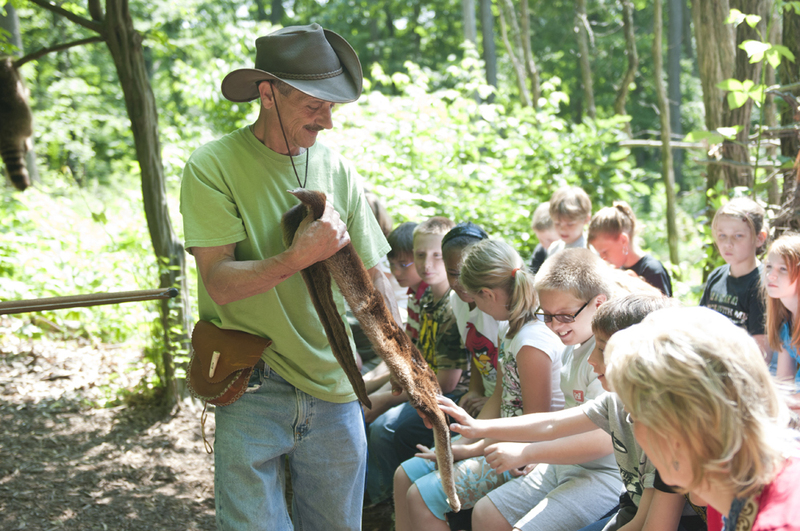 Students get a hands-on feel for the furs American Indians used as clothing. 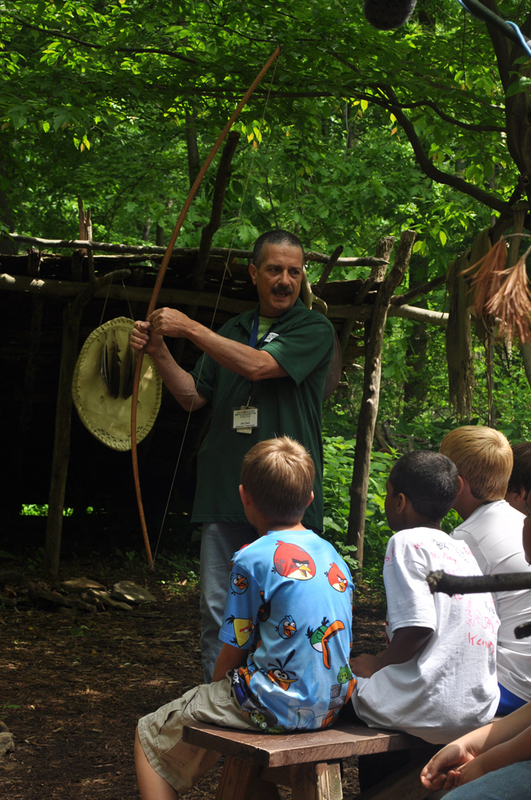 A Meadowcroft instructor shows students how Eastern Woodland Indians used a bow-and-arrow to hunt food and keep enemies at bay.